SSC (Staff selection commission) has released a recruitment notification 2018 for the posts of Sub-Inspectors in Central Armed Police Forces (CAPFs) and Assistant Sub-Inspectors in Central Industrial Security Force (CISF). 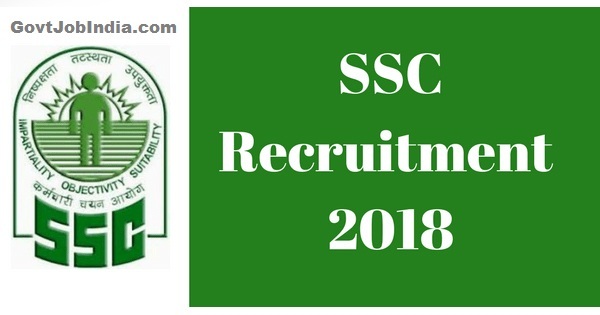 There are 1223 Jobs/posts which have opened up in SSC recruitment 2018 notification. 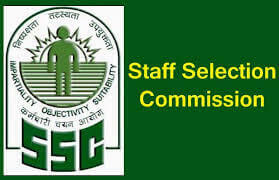 If you are interested in securing a stable government job in the SSC Vacancies, you need to apply online on the application form for the SSC employment notification 2018 on the official website which is www.ssc.nic.in. The last date to apply is April 2nd 2018. Candidates who wish to have this latest government job must clear the exam (for which the admit card will be soon released) and qualify for the interview. Candidates who wish to apply for SSC Recruitment 2018 Notification need to check Application Fee, Educational Qualification, Age Limit, Selection, Pay scale given and other details given below thoroughly. Aspirants need to have a bachelor’s degree from any recognized university of India if they wish to apply for the SSC recruitment notification 2018. The bachelor’s degree must be from a university deemed fit by the government of India. The candidate must be of Indian nationality, or a citizen of Nepal, or a subject of Bhutan, or a Tibetan refugee who came over to India, before the 1st January, 1962 with the intention of permanently living in India. The aspirants who belong to any of these categories (except for Indian Nationality), must submit a certificate which has been issued by the Government of India. For OBC Candidates, there is relaxation of 03 Years. This means that OBC candidates can apply up to the age of 28. Also, it is 05 Years for SC/ ST Candidates and Ex-Servicemen (OBC) have a relaxation up to 06 Years, whereas, Ex-Servicemen (SC/ST) have a relaxation of up to 08 Years. General/ OBC candidates will have to pay a nominal fee of Rs. 100 to apply online for the SSC 2018 application. There is no fee for SC/ST/PWD category candidates. No fee for SC/ ST/ PWD Categories candidates. The pay for SSC posts 2018 will be according to the government norms. Visit the official site ssc.nic.in and go to the News section. Next, click on the SI in CAPFs, ASI in CISF and SI in Delhi Police Examination 2018. Open the notification and read all the instructions thoroughly. Fill in your details with utmost care and do not make a mistake. Next check all your details once again like Name, Educational Qualification, and Address etc. Attach the required documents and also attach a recent photo and your full signature. Finally click submit and print a copy of the form for future purposes.